Snob's Music: Hands & Teeth announce debut full length "Hunting Season"
Hands & Teeth announce debut full length "Hunting Season"
Toronto indie pop/rock/experimental band Hands & Teeth have made quite a buzz based on their first EP and live shows. On January 17th they come back with their debut full length album Hunting Season. 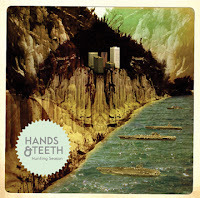 This is an early entry in the list of most anticipated Canadian albums of 2012 in my estimation. It will be interesting to hear how they sustain the hype. Expect a review from me in the coming weeks. Hands & Teeth play the Horseshoe in Toronto on November 30th opening for White Rabbits. You need to understand that the overall health could be affected by the condition of your gum line and teeth. Include healthy diet inside your daily food for example fruit; vegetables that will actually include important minerals and vitamins will certainly help in treating periodontal disease.